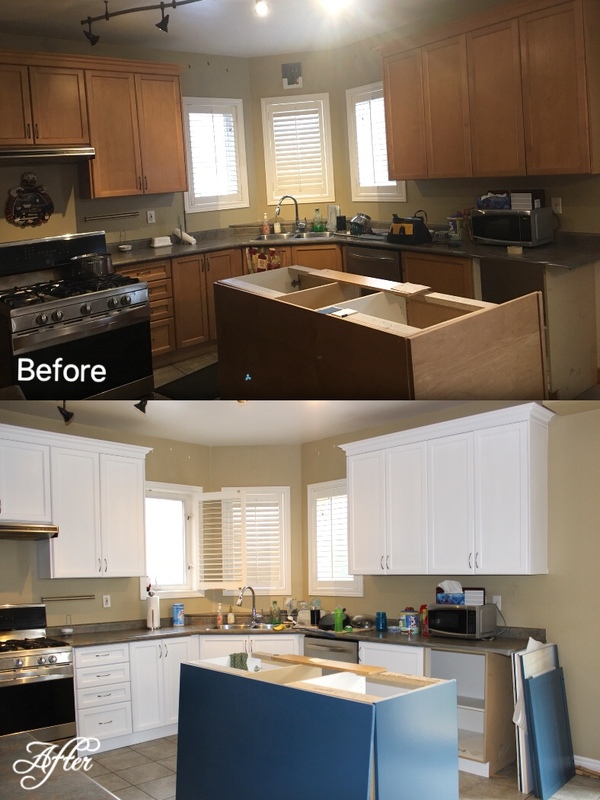 If you enjoy the look of your existing kitchen cabinets and the stain colour, and/or are looking for an affordable way to renew the look of your kitchen, same colour renewal, reconditioning and clear coating may be best process for you. Over the years kitchens begin to look old due to wear-and-tear, grease, and colour chips. So instead of changing the entire kitchen, our experienced team will go over a series of steps (explained at consultation) to bring it back to new, for a fraction of the cost of getting it re-done. Our team will decrease each cabinet, door, drawer-front, and any other wood product in the kitchen. We will then sealer-sand, apply minor repairs, and then apply a high-quality product (leaving no fumes). Each cabinet, door, drawer-front and other wood items in your kitchen will be left looking clean/fresh, new, and feeling smooth; adding value to the home-owners kitchen. 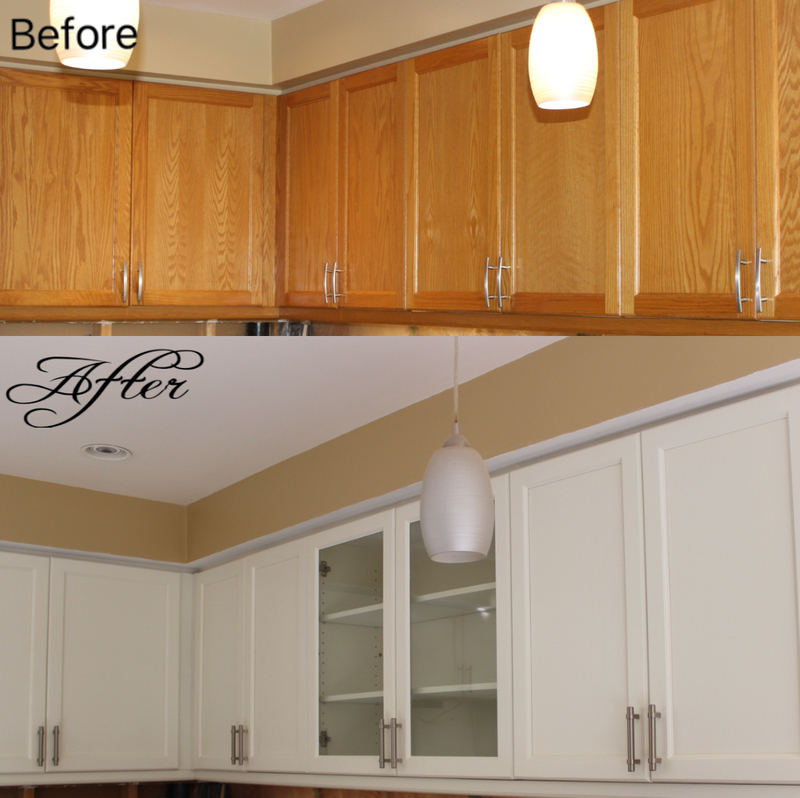 Colour shifting your kitchen cabinets will make your existing cabinets look darker, giving them a rich/new look. Our shifting process is a multicoated process by spraying semi-transparent coats to reach the customers desired darker colour. Colour changing kitchen cabinets are one of the most selling options nowadays. Designers and home-owners like to see a complete transformation of their kitchen at an affordable cost (a fraction of the cost of a new kitchen). You can change your kitchen cabinets to whatever colour you desire. Our colours are high-quality custom made, low VOC, and leave no unwanted fumes. 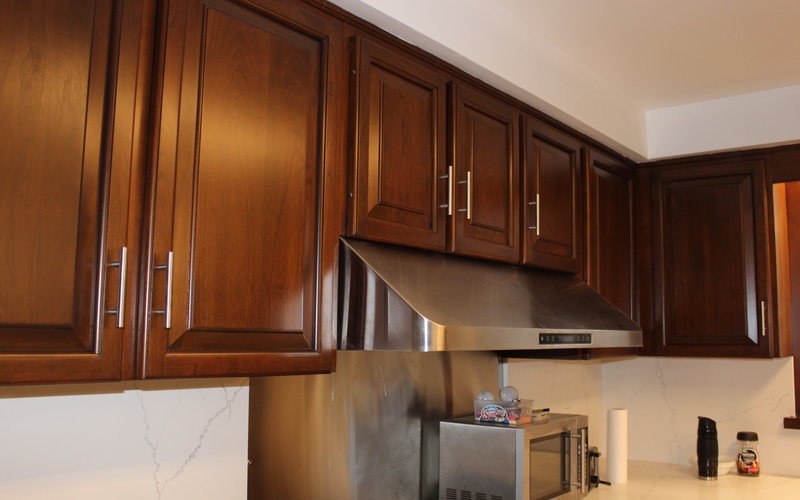 We will then book a date for our team to come to your place and take all of your cabinets and drawers to our workshop, and we will complete anything that is static to your kitchen, and that cannot be removed, such as side panels and kickplates. We will mask/tape your kitchen making sure that everything that isn’t being sprayed is covered. Once that is completed we will begin with the onsite work, which will be done in your home either by spraying or using another painting technique (depends on the kitchen). At our workshop, we will begin by cleaning/decreasing all of the cabinet doors/drawer-fronts and any wood that will be refinished. After they are all clean we will sealer-sand each item that will be refinished. That way there will be an adhesive surface for the finish to stick to. Once sealer sanded, we will stain, and apply the high-quality product (colour of clients choice). Once the doors/cabinets are done we will set another date with you for the final installation. The process will take between 5 – 7 business days, depending on the size of your kitchen. Thermofoil removal is necessary when the thermofoil is peeling/chipping on the edges of the cabinets and exposing the MDF. MDF is not moisture resistant, if not protected it will expand/bubble over time. 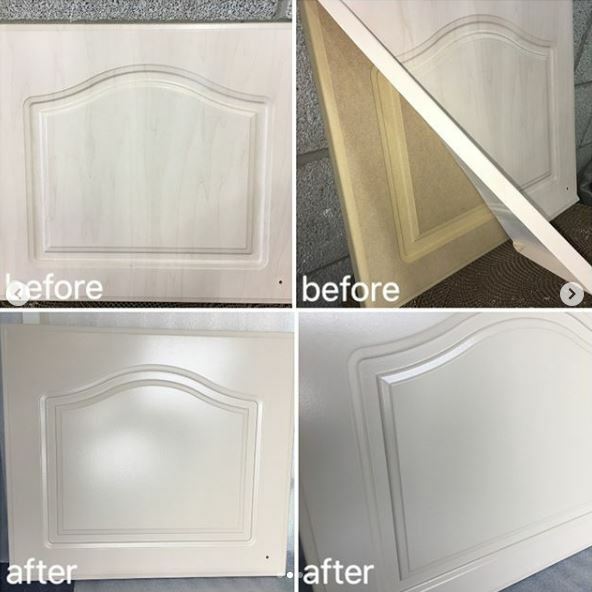 Most home-owners do not want to replace their entire kitchen cabinet doors/drawer-fronts, so what our experienced team at Masters Wood Finishing does is professionally remove the thermofoil and refinish all of the cabinet doors/drawer-fronts (whatever colour desired). This brings the kitchen looking brand new at an affordable cost (a fraction of the cost of what a new kitchen would cost the home-owners). 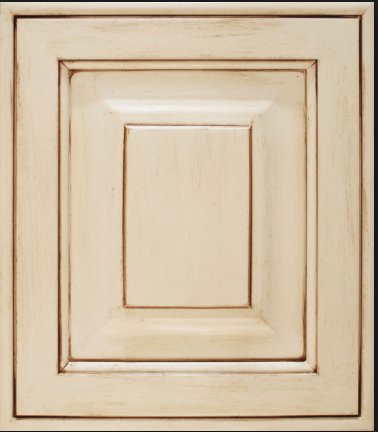 The high-quality finish/product used leaves each cabinet door/drawer front feeling smooth and looking brand new. Glazing adds a beautiful antique look to kitchens. It is a specialty that requires years of experience and knowledge. We can change the colour of your cabinets/doors/drawer fronts and any other wood in the kitchen and glaze any colour you would like on top of it. We do offer wet glazing and powder glazing to achieve a high end, vintage look. You can refinish you Kitchen no need to spend money on new, you can contact us if you need services of kitchen refinishing Vaughan. Call us @ +416-223-9292.